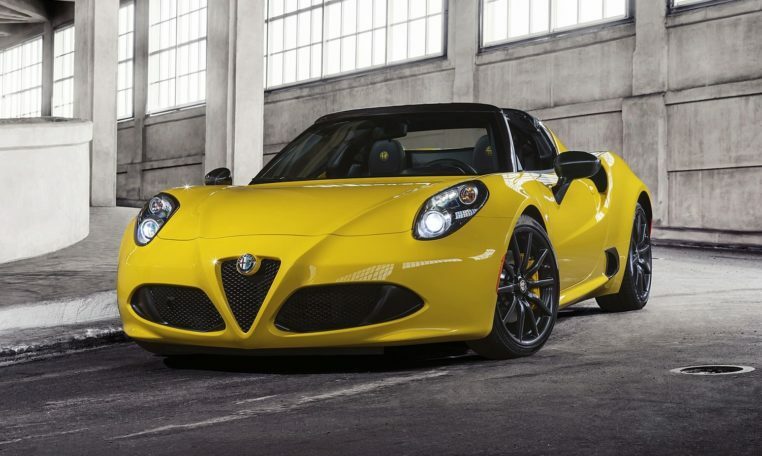 The 2019 Alfa Romeo 4C packs a 1.7-liter turbo-four engine that produces 237 hp and 258 lb-ft of torque and is backed a six-speed dual-clutch automatic transmission that sends power to the rear wheels. 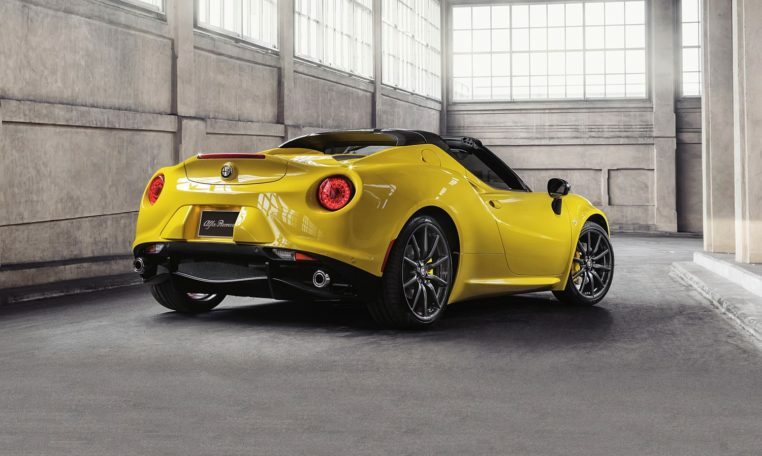 The 4C delivers an EPA-rated 28/34 mpg city/highway, not bad for a sports car. 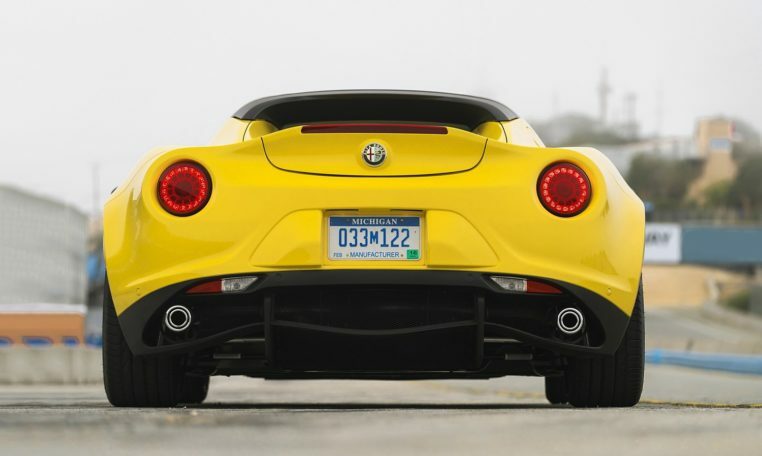 In testing, the 2019 Alfa Romeo 4C Coupe (same powertrain) hit 60 mph in a quick 4.2 seconds and stopped from 60 mph in a very short 97 feet. 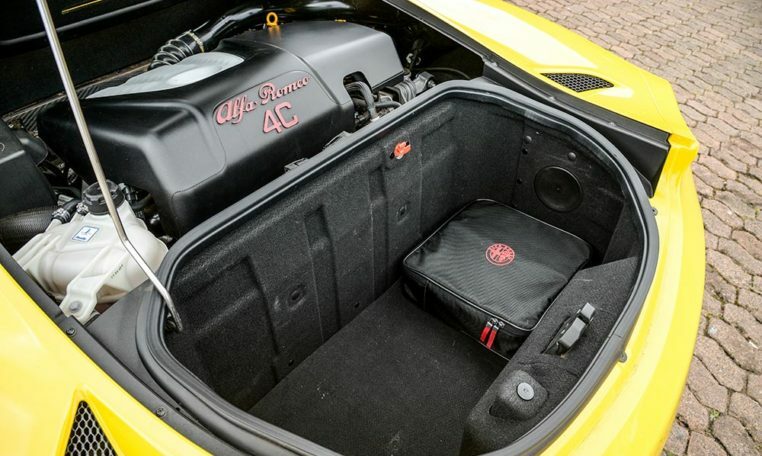 The Alfa Romeo 4C comes standard with hill-start assist, an individual tire-pressure monitoring system, driver’s knee airbag, side airbags, and optional rear parking sensors. 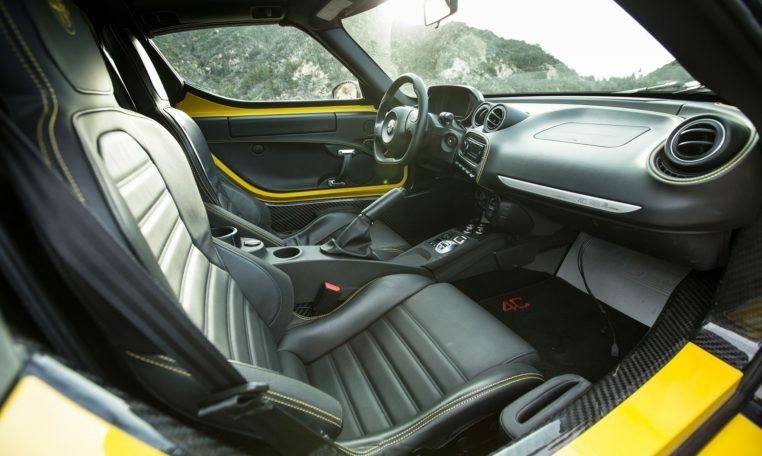 The 2019 4C offers 42.7 inches of legroom for both passengers and only 3.7 cubic feet of cargo space under the hatch, behind the engine.